Flower crowns, bell bottoms, peace signs, and a rainbow of colours – get ready to feel the love when you spin the reels of Hippie Chicks, a hilarious slot from The Games Company that’s all about hippie chicks! And it’s not the chicks you might be thinking of: we’re talking about chickens here! In this hippie chicken world, even the eggs are hippies before they hatch! Hippie Chicks is a colourful slot full happy chickens living in a happy hippie chicken commune. In Hippie Chicks, you’ll be playing on five reels, three rows, and 20 fixed paylines. Hippie Chicks comes packed with features like mystery colossal symbols, enhanced bonus trigger reels, wilds, scatters, and up to 200 free spins! Put your flower crown on and join the fun going on in Hippie Chicks by placing your bet anywhere between the minimum of € 0.1 per spin up to a maximum of € 100 per spin. Hippie Chicks is made up of a bunch of hippie chicks! On the reels you’ll see symbols like the game’s logo with a chicken chilling on a guitar, two hippie chicken ladies, another hippie chicken strumming her banjo, an egg wearing hippie glasses, and a colourful 70’s style camper van. Then there are also five playing card symbols decorated in flower crowns. There is also a special peace sign symbol which is the scatter in the game and a wild symbol represented by a very hippie chick. The wild substitutes for all symbols except for the scatter. If you see two hippie chicks carrying a big peace sign popping up in view over the reels, then there is a chance that one of the two bonus features described below will be triggered. If this feature is triggered, a mystery colossal symbol could be randomly awarded when the Reel Chicks appear. The colossal symbol can be any symbol, even a wild or a scatter, and can be between 2x2 and 5x3 (the whole reel set) in size! The colossal symbol will be randomly placed in any position over the reels. If the enhanced bonus trigger reels are awarded when the Reel Chicks appear, there is an increased possibility of triggering the free spins thanks to extra scatter symbols appearing on every reel as they are spinning. Three or more peace sign scatters landing on the reels will take you straight to the free spins feature. A random number of free spins ranging from at least four free spins and up to a maximum of 200 free spins will be awarded. The more scatters that triggered the free spins, the bigger the number of free spins awarded. During the free spins, a mystery colossal symbol is awarded on each free spin! 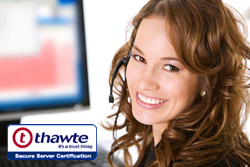 In Hippie Chicks, you need to get three to five matching symbols on one of the 20 active paylines in order to win a prize. However, the game’s logo symbol earns you prizes for just two matching symbols! The logo pays two coins for two symbols on a line, 40 for three, and a top prize of 400 coins if you get five of the logo. Next are the hippie chicks making the peace sign, paying 20 coins for three symbols and 300 coins for five. The chick playing the banjo pays between 20 and 250 coins, whilst the egg pays between 10 and 200 coins. The camper van symbol is also a high paying symbol, worth between 10 and 200 coins. The five playing card symbols are the lowest paying symbols, out of which the A symbol pays the most. The playing card symbols pay varying prizes ranging from at least four coins and going up to a maximum of 150 coins. Hippie Chicks is a laid-back slot set in a hippie commune where hippie chicks live in hippie tents on green grass, surrounded by peace signs and blooming flowers. The scene couldn’t be happier and more cheerful; bright blue skies can be seen in the background and a cascading waterfall as well. With a laid-back 60’s style soundtrack, Hippie Chicks really creates an atmosphere. The symbols are pleasantly colourful and vibrant without being flashy. Underneath the reels, you’ll find the bet settings and the Autoplay button. You can access the paytable and information about the game from the buttons next to the reels. Hippie Chicks is a one of a kind slot that’s hard not to love! 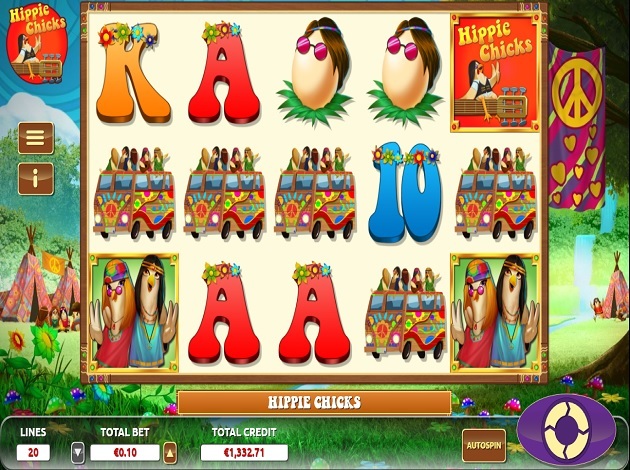 The combination of the hippie theme with clucking chickens really make it stand out as a unique and hilarious slot to play with lots of amusing features. You can win up to 200 free spins, trigger random bonus features and have a clucking good time on Hippie Chicks. Check it out at Videoslots today! The game we currently offer is Mariachi Mayhem, a video slot which you can find under the provider portfolio on Videoslots.com.